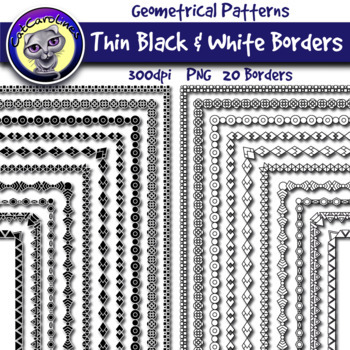 Decorate your products and lessons with these thin borders! 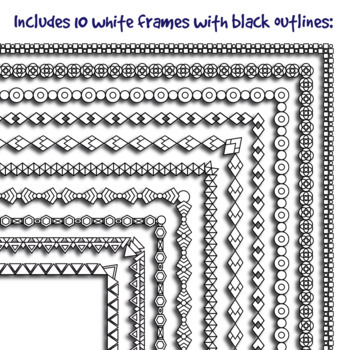 This product includes 20 borders. 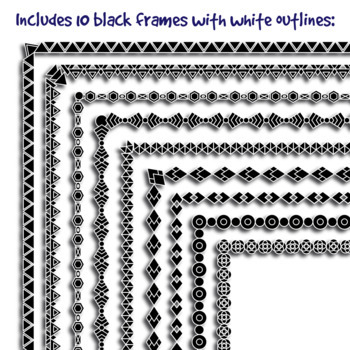 There are 10 different border designs in 2 variations: white with black outlines and black with white outlines. Each border is saved at 300dpi for high quality and as a PNG with a transparent background. All borders are rectangular and made to fit a US letter sized page of 8,5 x 11 inches.